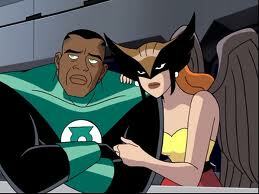 Fan favorite couple from the Justice League cartoon network series. 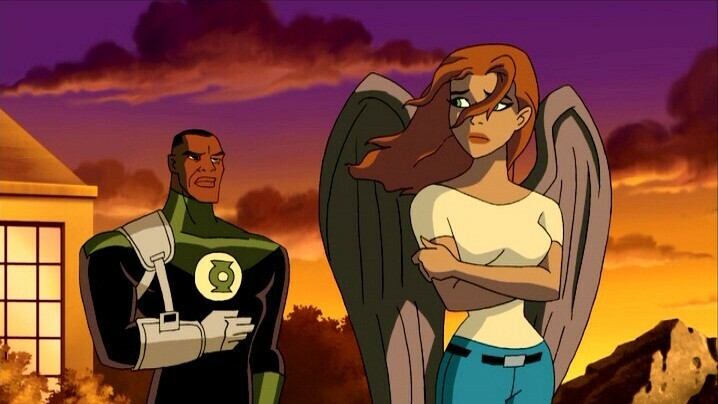 I can admit to NOT being a fan of John and Shayera, I can see the appeal. 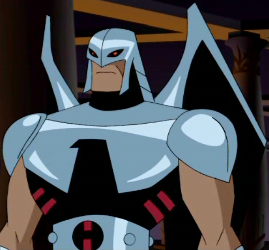 Shayera came to earth as a scout for the Thanagarian army which had plans to invade earth. From the moment they laid eyes on each other their was tension. Over time however she fell in love with teammate John Stewart, earths green lantern and helped the Justice League to over throw her people’s invasion. In the far flung future she would give birth to Warhawk a hybrid child with John.